If you’ve been invited to a summer wedding, the question of what to wear is one that is normally at the top of the list. What should you wear, and what shouldn’t you wear? What’s appropriate wedding attire for men, and how should you dress the kids if they have been invited to attend? You’ll find some indispensable answers to these questions – and more – here. No matter where the wedding is being held – whether it’s in a church, a garden, or a breezy gazebo, honor the bride and groom by looking your very best. For ladies, lightweight dresses in shades that say “summer” are an excellent option; teens and younger girls will look and feel fantastic in summery styles, as well. When selecting your own wardrobe, give a nod to the colors the happy couple have chosen to embody their joy; just be sure you don’t choose something that might have you confused as a member of the wedding party. In the same vein, whites and creams are not normally acceptable for anyone other than the bride. While wearing black to a wedding was once considered a major fashion faux pas, the shade is is definitely acceptable today, particularly for formal weddings. The caveat “dress appropriately for your age group” applies here. Leave kids’ and teen appropriate styles to the junior set, choosing styles you feel comfortable and attractive in. Today’s designers offer fantastic looks for all women, with fashions in sizes, shapes, and colors that will suit anyone. Take a style-savvy friend shopping with you to ensure you choose the right outfit, and you won’t end up wishing you had made a different decision. Finally, have a little fun with your look – chunky statement necklaces, fabulous shoes that show off your new pedicure, stacks of bangles, and glittering earrings are all wonderful accessories to consider. 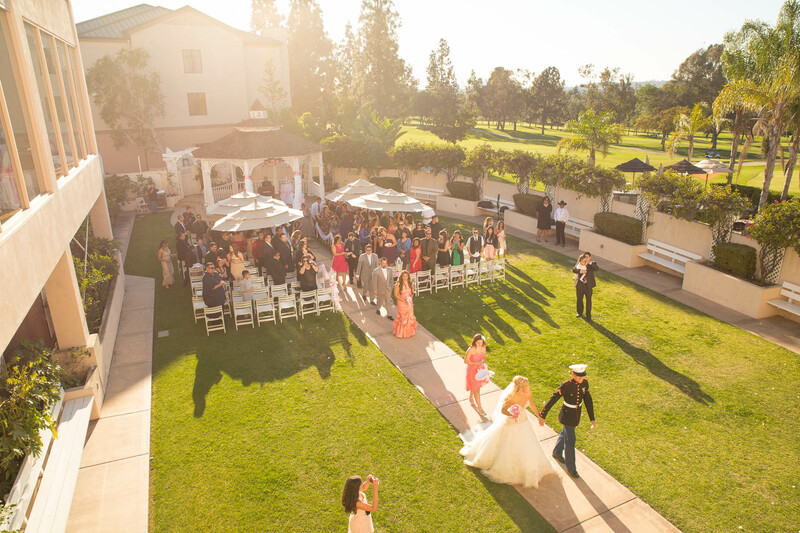 For outdoor weddings, consider wearing a hat; if you do wear one, be considerate of other guests and ensure your sun hat does not impede their view of the ceremony. Our next post will share fashion tips for Men and Boys. Check back soon!